This recipe comes from Recipes and Remembrances, published to help support Penderlea Homestead Museum. Sauté onions, peppers, and celery in butter or margarine. Add to peas. Stir in pimentos, mushroom soup, and mushrooms. Place in 2-quart casserole dish. 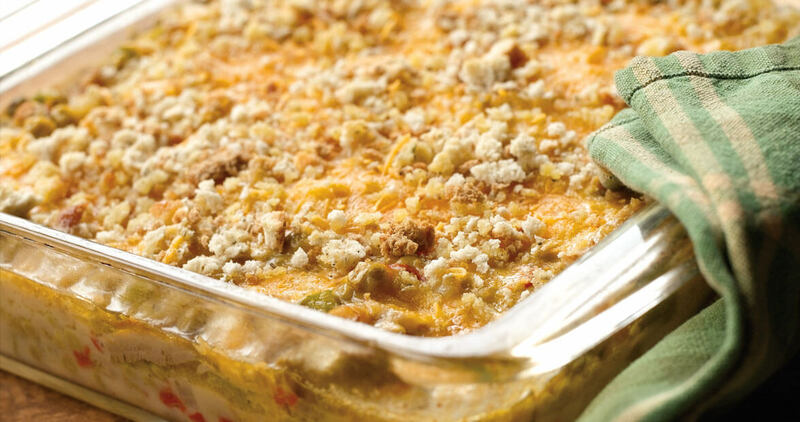 Top with buttered bread crumbs, cornbread dressing, or cheese. Bake at 350° for 30 minutes until heated through. To order a copy of Recipes and Remembrances contact Al Owens at (910) 259-7984 or aowens@ec.rr.com.